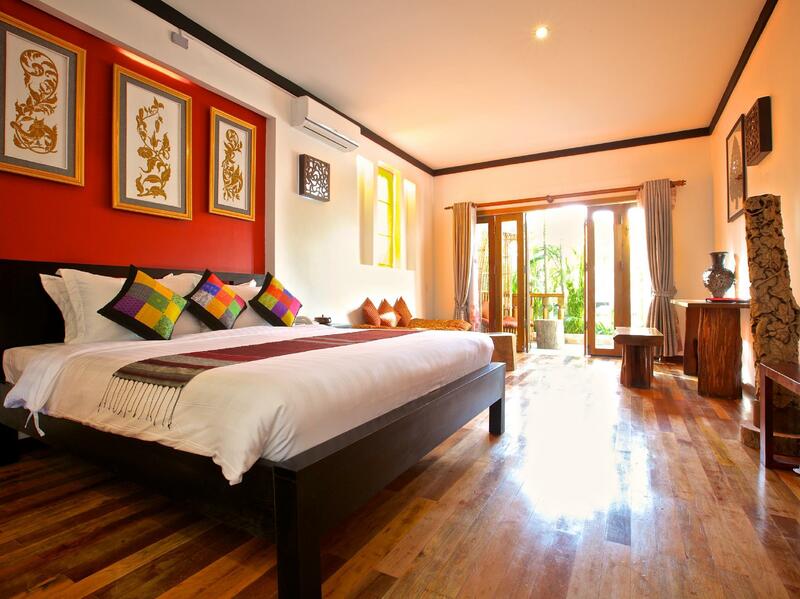 Имате въпрос към Three Rooms Angkor Orchid Secret Villa? Three Rooms Angkor Orchid Secret Villa е благоприятно място за почивка и отмора след напрегнат ден, добре разположен в ресторанти, култура, разглеждане на забележителности зона на град Сием Реап. Вълнуващият център на града е само на 1.5 km оттук. С удобното си местоположение хотелът предлага лесен достъп до всички градски забележителности, които задължително трябва да се видят. Възползвайте се от богатството на ненадминатите услуги и удобства в Сием Реап. Гостите на хотела могат да ползват съоръжения като 24-часов рум-сервиз, безплатен WiFi достъп във всички стаи, 24-часова охрана, ежедневно почистване, магазин за подаръци/сувенири. 3 стаи са разположени на 2 етажа като във всяка една от тях цари неповторимото усещане за домашен уют. Модерен комфорт с удобства като телевизор с плосък екран, достъп до интернет (безжичен), частен басейн, безжичен интернет достъп (безплатен), хидромасажна вана са на разположение в определени стаи. През деня можете да се насладите на отпускащата атмосфера благодарение на открит басейн, масаж, градина. Three Rooms Angkor Orchid Secret Villa е идеално място за туристи, търсещи чар, комфорт и удобство в Сием Реап. from the outside of the hotel you probably won't believe how amazing inside,the hotel own is really kind and sweet they really take care of your need and the room is AMAZING!!!!!!!!!! 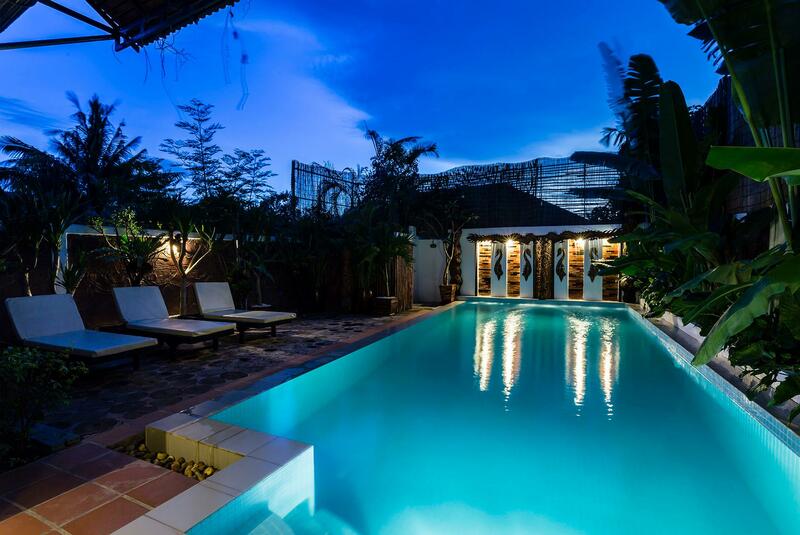 This hotel is a small and private boutique hotel which is located not too far away from the city centre. The rooms were fabulous and spacious and the service by the staff is very attentive. Recommended hotel to stay in. On the negative aspect, during our stay in the hotel, the tut tut that was called by the hotel each time we needed to go out was the same person and this driver is a total ripe off and brings you to places which offers the most expensive massage in town as well as charging double the rates comparing to the other tut tut drivers that you can actually flag down in town. Aside from that, his attitude to you might be really good during the earlier part of your stay but at the end of your stay, his attitude is terrible and horrible. Do take note. Excellent, really appreciate the attention of the family running the guest house, don't hesitate to ask they'll get you what you need. This place is a little ways out of town, but if your focus is Angkor rather than hanging out in the bars and cafés in the old market area you will be happy here. There is some construction of other villas going on in the area which makes for a little noise, but no major problem. The place is a little hard to find and you will not be able to jump in a taxi at the airport and expect the driver to know what place you are talking about (mostly because the place is new). The rooms are enormous and reasonably well set up/appointed. 10 minute bike ride to Angkor. The cleanliness, ambiance and customer service. My stay was very pleasant as the staff and owner were very welcoming. We loved our room as it was very clean (they make up your room every time you head out!) and the ambiance was really cozy. We had the most wonderful stay at Three Room d'Angkor. The room was absolutely beautiful, clean, tidy and well set out. The shower, bed, bath and deck were my favorites among many. The hotel is very small, so perfect for that secluded getaway feeling. We saw other guests once while there. The staff were incredibly helpful and catered to our needs, arranged transport, afternoon snacks and even room service from a nearby hotel. I can't think of a single dislike or negative thing to say. Highly recommended!